Despite the numerous Arsenal players that will be gracing this summer’s World Cup, there are plenty of the multi-national squad that will be watching from home. Eduardo, Andrei Arshavin, Thomas Vermaelen and Tomas Rosicky are the star players of European teams that missed out, whilst the large French contingent cannot all feature in Raymond Domenech’s squad. Things are not going particularly well for Arsenal’s Swiss pair, Johan Djourou and Philippe Senderos. Pencilled in as Ottmar Hitzfeld’s centre half pairing after featuring at German ’06 and Euro 2008, the careers of the young Gunners pair have gone into freefall and are unlikely to be involved in World Cup Bet In play situations this summer. Djourou has suffered an injury nightmare and faces a race to be fit for the finals. It is nearly a year since he suffered a serious knee injury against Wigan Athletic and a long period of recuperation from surgery is not ideal preparation. The strong performances of the defence in his absence means he might miss out even if fit. Senderos’ problems are form-related. Arsene Wenger finally lost patience with his talented but error-prone defender after some costly mistakes in a Champions League clash with Liverpool and loan spells at Milan and Everton have not revived his career. Senderos has struggled particularly at Goodison Park, making just two league appearances since joining in January. It is hard to know where his career progresses from here, but his future surely lies away from the Emirates. Both Djourou and Senderos missed the recent friendly defeat by Uruguay, for different reasons, and the pair that looked set to form the defensive base for Switzerland could well be watching on TV like many other Arsenal players who might have expected to feature in South Africa. As for Switzerland as a whole, FIFA World Cup odds don’t expect them to progress to the latter stages of the competition, but they will want to try and exceed expectations in South Africa. Arsene Wenger reckons consistency could be the main characteristic that helps his team win the Premier League title this season. His side currently sit third in the Premier League table but they are only two points behind leaders Manchester United. Arsenal travel to St Andrews to face ninth-placed Birmingham City at the weekend and the manager will be looking for the Gunners to extend their impressive run of form which has left them unbeaten since early February. Wenger told Sky Sports News his side are going into the last seven games of the season with "fantastic momentum" and "great belief", which needs to be maintained over the coming months. Many football fans consider Arsenal to have the easiest run-in of the three Premier League title rivals, but Wenger has admitted they may need some help from other teams. "There are three teams in the race and it is down to the team who are the most consistent. We can only focus on our own performances," said the manager. "We know our route has to be perfect. To be perfect it is important we focus on our performances." The Gunners are also hoping to land European silverware, but the Champions League odds suggest they will struggle to get past Barcelona. Arsenal's title run-in could be buoyed in the coming weeks by the return of striker Robin van Persie. The Dutch international has been out of action since November but earlier this week Arsenal Wenger said he could be back in contention for the final four Premier League games. Van Persie will also be looking to prove his fitness to Netherlands manager Bert van Marwijk as the forward will be vital if the side are to defy the World Cup 2010 odds and win the tournament. 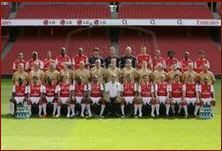 The cosmopolitan nature of Arsenal's squad shows why this year's World Cup will be of particular interest to Premier League supporters. Fans can put aside national interest and follow the fortunes of the club players they see each week, or in the case of Mexico's potential star player, ones they only occasionally see in action. Unless Gunners fans are lucky enough to see one of his league cameos or League Cup run-outs, Carlos Vela remains a mystical figure for supporters at the Emirates. Arsene Wenger uses the left-footed forward sparingly, even after recalling Vela from loan spells in La Liga. Even the injury crisis at the Emirates has yielded few opportunities for the player. Although first-team opportunities at Arsenal have been few and far between you can bet on World Cup football being a priority for Vela. He certainly has the ability to make a big impression in South Africa. His clever movement, dribbling skills and eye for goal make him an attractive option for Javier Aguirre, although Mexico are strong in attack, with 21-year old Javier Hernandez a contender for Vela's place in the team. However, Vela has that special ability to create something from nothing, trait of the best attacking players. He can create chances for others and is becoming known for scoring spectacular goals, both through individual dribbles and long range strikes. World Cup football 2010 could provide a stage for him to shine on. A first round group containing France, Uruguay and South Africa suggests a fifth consecutive World Cup second round appearance is within Mexico's grasp. Their new generation of talent - Vela featured in the team that won the 2005 U17 World Cup - means they could go further this time around. Arsenal need to make all those who have doubted them this season eat their words by pushing on and winning the Premier League title, according to Thomas Vermaelen. The Belgian defender has been a rock at the heart of the Arsenal back four for the majority of the season, and his side have been written off as title occasions on two occasions. 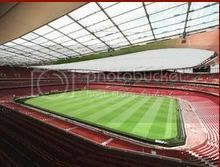 However, both times the Gunners have managed to defy the football odds and close the gap on Chelsea and Manchester United. The Gunners are currently third, level on points with the Blues in second. Arsenal's next match sees them travel to the KC Stadium to face relegation-threatened Hull City and Vermaelen wants his side to continue their four-match winning streak - however they may have to do without captain Cesc Fabregas who remains a doubt after missing the team's 5-0 Champions League win over Porto in midweek. Vermaelen reckons Arsenal might need to win every game between now and the end of the season in order to clinch top spot. "We will see at the end of the season. You have to focus every game and we will see where we are at the end," the defender said. 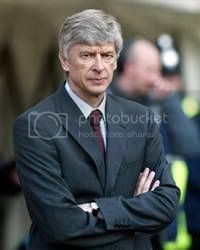 Meanwhile, Arsene Wenger has praised Gunners forward Nicklas Bendtner after the Dane got a hat-trick in the Porto win. This feat came just days after he was lambasted for missing a series of opportunities in the match against Burnley and Wenger reckons the striker's continued confidence could be vital in the Premier League title battle. Bendtner will be looking to carry this sort of form into the summer as he will be a key player in Denmark's World Cup campaign. However, the World Cup online betting suggests his side will struggle to make an impact at the competition. Mathew Ponde Assesses Our Thrashing Of Porto..
Last night was awesome. It was a perfect match in every sense. What was special was that we had such a performance without Fab4. It does wonders to the team confidence. In my opinion we need to rest him for the next few games so that we avert his injury. He is on the brink of a major injury and Wenger knows that. Nasri was at his best. He can do Fab's job very well. Song was on song. Abou was solid. The backline is good like that. With Theo in his current form and hunger, Asharvin with so much energy and motivation and Eboue playing so well we are on for a good end of season. Bendtner will always be a surprise package. He will miss chances and will score in some games. What he adds though is he is an effective central striker who brings the wingers and midfilders to play and score as well.